January 20th brings the continuation of Voltron Legendary Defenders. However, it is still over a week away. I am doing everything I can to be patient and wait for the release on Netflix, but this isn’t easy. I have to admit, January 20th cannot come fast enough. I decided to do a search for more Voltron related printables to pass the time. Who knows, in the last 24 hours someone could have posted more…right? Turns out, the answer is yes. Well sort of. The printables have been active for a while, I just recently found them at Dreamworks Create website. Talk about exciting! Dreamworks has an official website where they have posted several free printables featuring some of their top movies and TV shows including Trolls, Puss in Boots, Shrek, Kung Fu Panda, and…VOLTRON! Who knew!?!? While they are not overloaded with massive amounts of paper crafts or printables, Dreamworks Create does have 3 Voltron crafts that are fun to download, print and create! These should help pass the time as we wait in anticipation for Voltron Season 2. 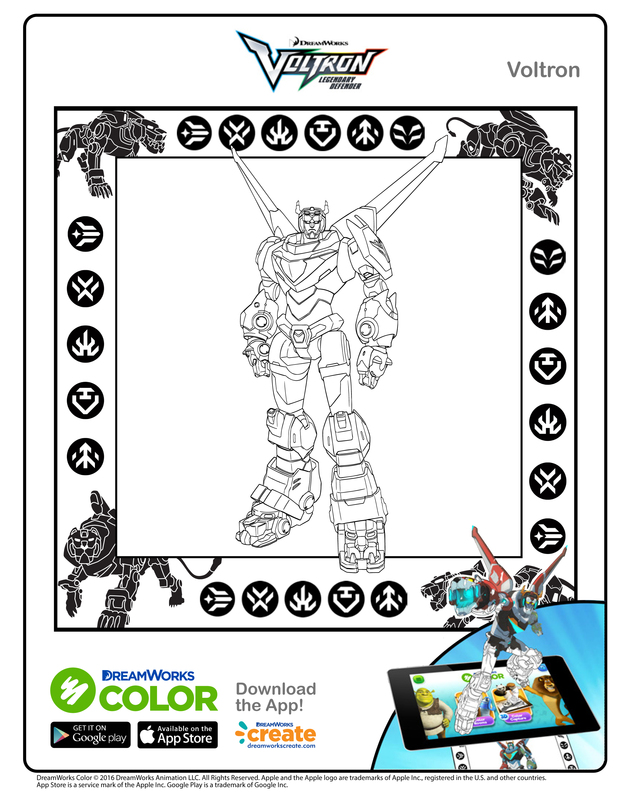 Print the template out, cut where stated and clue together to create the coolest paper toy of Voltron. Print this template out to wrap your phone in a cool frame while watching Voltron Season 1 (or season 2 January 20th). It comes complete with a stand to perfectly angle the phone for the best viewing experience.